DURANGO, Colo. – Colorado Parks and Wildlife announced Tuesday that its biologists had discovered groups of cutthroat trout living in southwest Colorado that were thought to be extinct. 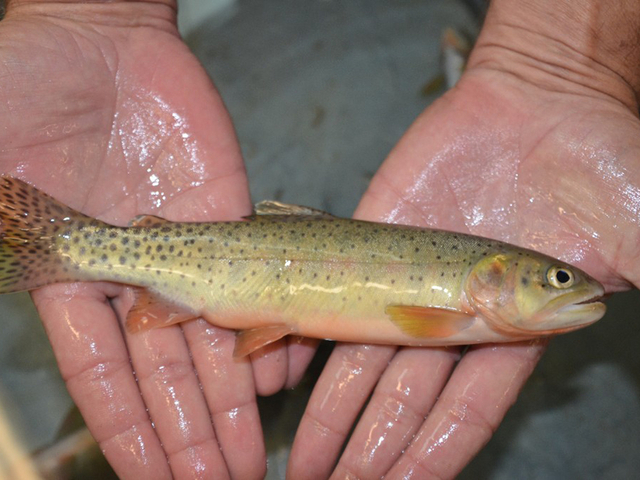 CPW said new and more-advanced genetic testing methods led to the discovery that the Colorado River trout collected by biologists shared genetics with the population that was thought to be gone. Eight populations of the trout were found in streams within the San Juan National Forest and on private property within the San Juan River Basin, and had been reproducing naturally in isolated areas, CPW said. Three current and former CPW aquatic biologists and cutthroat specialists who have been looking for remote trout population in southwest Colorado for decades have been taking samples to preserve for when genetic testing advances were made, which CPW says has happened over the past 10 years. 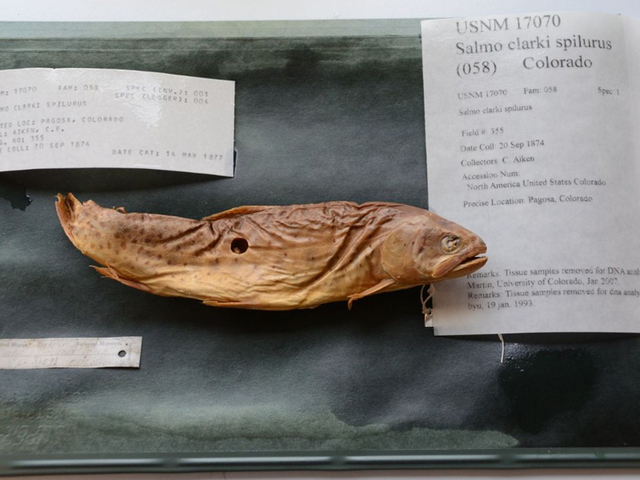 The fish had been housed at the Smithsonian National Museum of Natural History in Washington, D.C. for decades and were rediscovered in 2012 by a team from the University of Colorado that was studying old trout samples housed in museums across the country. The research team genetically tested the two old trout and found they had genetic “fingerprints” that are unique to the San Juan Basin, then cross-tested all the cutthroat species they could find there. There are 14 different subspecies of cutthroat trout in North America, and at least three are found in Colorado: the Colorado River cutthroat trout, the Greenback cutthroat trout and the Rio Grande cutthroat trout.